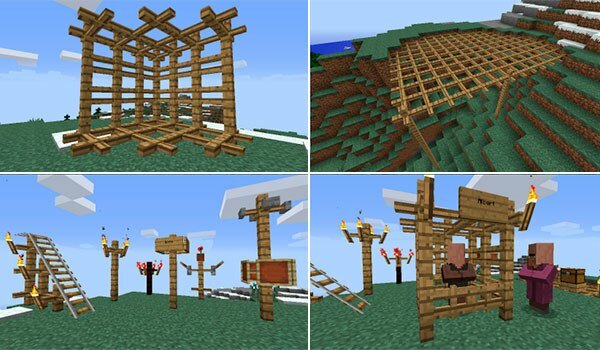 The wooden lattice come to Minecraft. Lattice Mod 1.8 is a mod that will allow us to create lattices in Minecraft, we can serve to create curious and decorative structures. These blinds fit perfectly with predefined Minecraft fences wood, so we can use both “blocks” to create new structures and decorations. At the moment this mod allows only two materials for the lattices, wood and bricks underworld. Although we can use various variants and shades of wood from trees to create wooden blinds with different colors or shades. How to install Lattice Mod for Minecraft 1.8? Now you can decorate your buildings with wooden lattices!